Style Theory: Marks and Spencer continually design the best shoes and bags.. Every time I go to the press show at the beginning of each season I fall in love with at least one or two pairs of shoes and a couple of handbags and cannot wait for them to hit shops. This year it was these silver shoes (amongst others) that caught my eye. 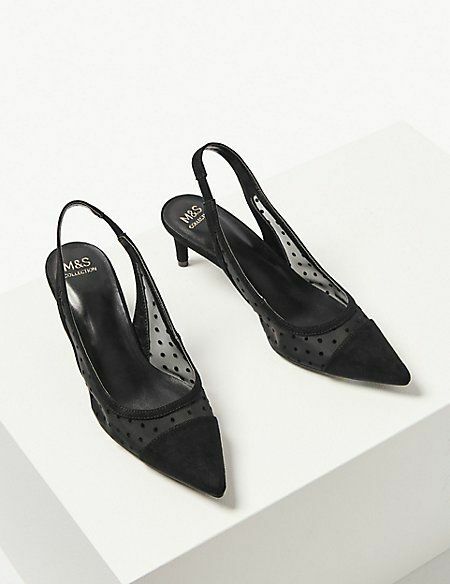 They are incredibly comfortable (with M&S insolia technology making they super padded and comfy) They look just as great with ankle length jeans as with dresses and skirts.. I am a huge fan of a polka dot this season and this tea dress is super cute on, I sized down one size as it came up a little big. I will wear it in the autumn with trainers and a biker jacket slung over the top. Love these slides..slightly Hermes inspired and gold looks gorgeous on sunkissed feet. 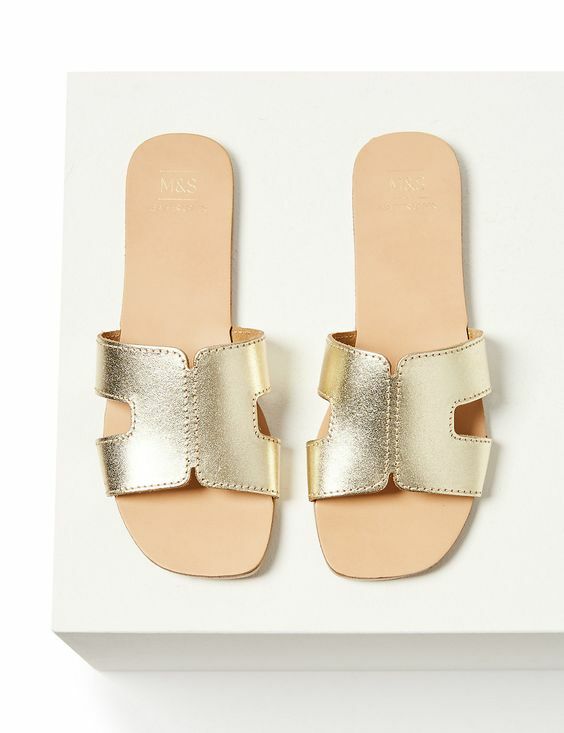 These sandals will go with everything.. Chic, elegant, slightly 80s but super cool. Wear these shoes in with boyfriend jeans and a fine black cashmere sweater, a cool laid back glam look. 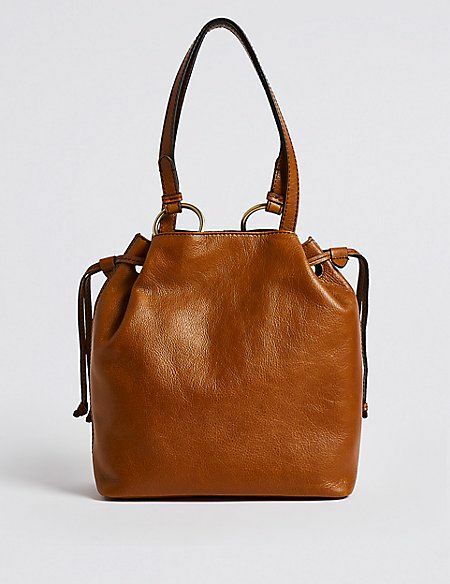 I love a tan, leather, slouchy bag, they are timeless, cool and look better the longer you have them. 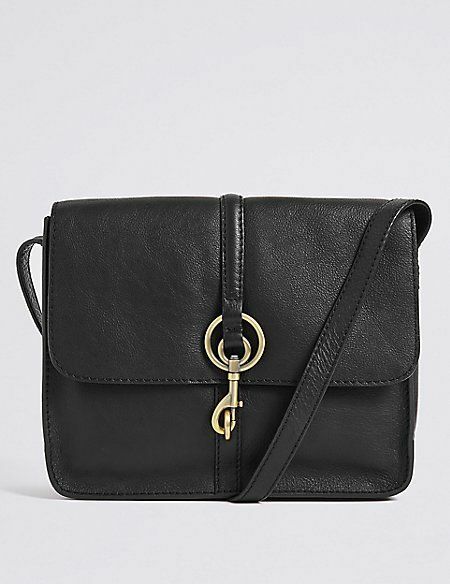 The perfect bag to throw everything in and tan leather goes with everything adding a boho edge. 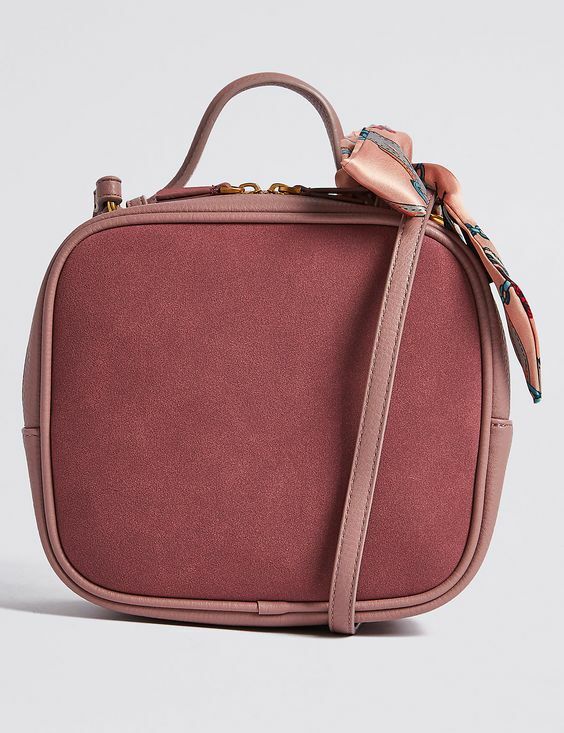 Love the scarf detail on this cute pink bag..
Another timeless, leather bag to add a chic look to you look. 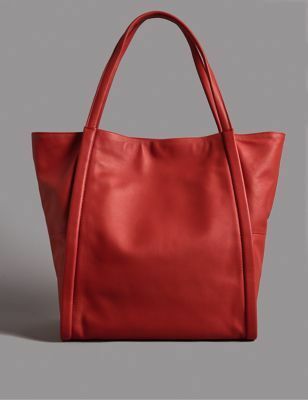 My red leather tote is my most used bag ever, I love this one, it is fab, adds a pop of colour to every outfit, is big enough to fit everything in (including trainers!) one of the most useful bags. 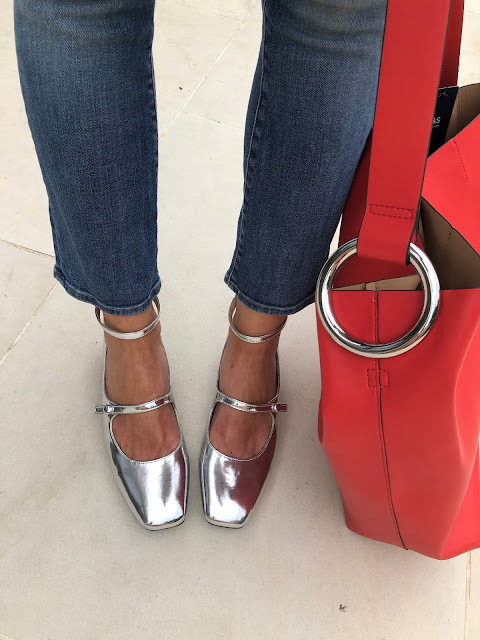 A little round up of my favourite items online at the moment, so excited to see the Autumn Winter collections hitting store - I know they are going to be so good! *This was written in collaboration with M&S, all edits, styling and words are my own.